Pearl opening companies seem to be popping up all around the world, certainly in the UK and on facebook in the last couple of weeks or so. This pearl opening thing has been around for years. Every so often someone will come up to one of us and say they got this pearl at some place which had a tank of oysters and they picked one and it had a pearl in it. In one place in America I heard of boys diving off a pier to get the shells, which is a dramatic bit of scene setting. You can have the poor oyster in a tin – $1 a time. The scam goes like this. The operator buys pickled oyster shells from either a wholesaler in the UK or America or direct from china. They are vacuum packed and dead. The poor things have had a random freshwater pearl shoved into them. 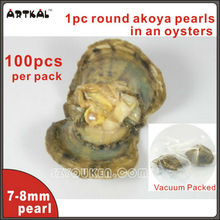 The process is that the pearl is inserted into a live young akoya oyster shell which opens as it dies. The corpse is then dumped into a chemical bath which shrinks the adductor muscle so it slowly closes, and preserves it. Then it is vacuum packed or tinned and sold to one of the companies at the top of the supply pyramid. 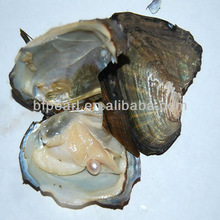 There is one company which has been recruiting sellers hard and promoting these parties, because they are selling the preserved shells and findings at a huge mark up and controlling the drilling and setting of the pearls. Big profit for them. Or the opening is done in the shop or the end of the pier. But the pearl inside is yours. And, not only do you have this pearl now, but you can buy the finding -some basket pendant holder usually – to display it. And it only costs £££. I tracked down one UK wholesaler. These pickled and vacuum packed shells cost between $1 and $2 a pop. Never more, even when packed individually in a box with a silver tone finish pendant finding. That wholesaler is selling them for £80 for five! I am in the wrong business. The operator opens the pearl and tells you your pearl is worth £££. I’ve not yet seen a website with one of these companies which complies with UK and EU law on returns or on contact details . These are invariably low quality freshwater pearls – akoya pearls do not come in shocking pink or peach, and certainly not ready dyed black! Plus the chemical liquid in which they are preserved is probably toxic. If you want great pearls talk to us – We go to Hong Kong to personally select every single pearl on the website. Our business is open, pays its taxes, is a ltd company with bona fides, complies with all the UK law, you have an address for me, you can talk to us, make returns, and we’ve been going for more than 15 years. Information for a class action is being gathered in the USA. If you have had involvement with this nonsense either as a buyer or seller in the US please contact https://www.classaction.org/vantel-pearls-lawsuits who will be taking action in the ninth circuit. There’s a new video on youtube debunking the claims by sellers of these pearls that pearls change colour when wet/dry .They don’t. The sellers are lying, they are sending out different pearls to you. More scam, more deceit. Pearls do not change colour when wet. There is no such organisation as The National Pearl Association of the United States. 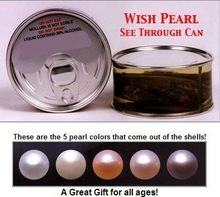 In America you have the Cultured Pearl Association of America. In the UK we Have the British Pearl Association. The NPAUS is a made up thing to try to add credibility to a pearl opening wholesaler company’s totally ridiculous and fraudulent pearl value chart. 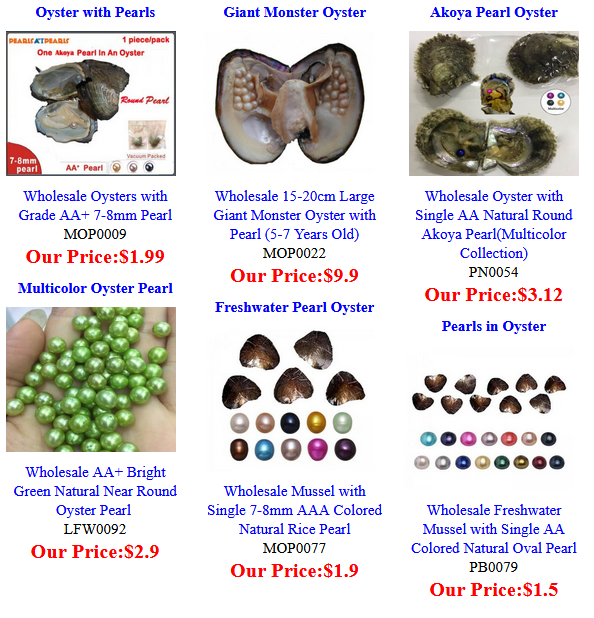 Finally…We’ve looked at some of the websites supplying pearl parties. They hide. They want your money but they do not give a mail address, just email. Ask yourself – does any reputable business hide where they are? Of course not. Remarkably I am still getting emails and enquiries about this. People still starting up businesses ( not spotting that their next big thing is the week before last’s fading craze). Finally for this update I got this email this morning from a pearl opening supplier. 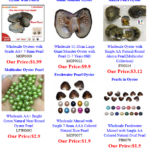 These are the prices your pearl opening facebook lovely friend is paying for these shells – work out their profits for yourself then browse our website for genuine top quality pearls at great prices…pearls selected carefully and in person by us. This entry was posted in World of Pearls and tagged akoya oyster opening, akoya pearl opening, oyster opening, pearl, pearl in oyster, pearl opening, pearl poppers, pearl popping, pearls change colour when wet, pick a pearl, popping pearls, scam, vantel, wish pearl, wish pearl pearl in oyster on December 5, 2016 by WendyG.